Earlier this week, we woke up to the news of the huge damages suffered by many Caribbean islands due to Hurricane Irma. Early this morning, I reached out to Carmen (one of our Associate Editors) to see how she'd fared over in Puerto Rico and thankfully she and her family are safe and haven't suffered any major losses. Particularly heart-wrenching are the first images of the devastation in Barbuda where it's reported that 90% of the homes are damaged and 50% of the population is now homeless. In the wake of Irma, the island was unreachable for a few hours— inconceivable in this day and age. Barbuda's Prime Minister spoke out about climate injustice on BBC Today and linked climate change to the rise in severe hurricanes in the region; large industrial nations are the heaviest polluters and we in the Caribbean suffer at their expense. There's more than enough science to support it, yet some leaders of powerful nations continue to deny climate change. It's also back-to-school week, and in places like Barbuda, a disaster of this scale is surely going to affect students' psycho-emotional and academic welfare for years to come. Roofs have been blown off of school buildings and classroom supplies have been destroyed. It will be some time before the country returns to a state of normalcy and schools are officially back up and running. To help young people process the trauma and move forward, I’ve compiled a list of learning resources and tools that schools and educators can use to respond to the storm and its aftermath with students. 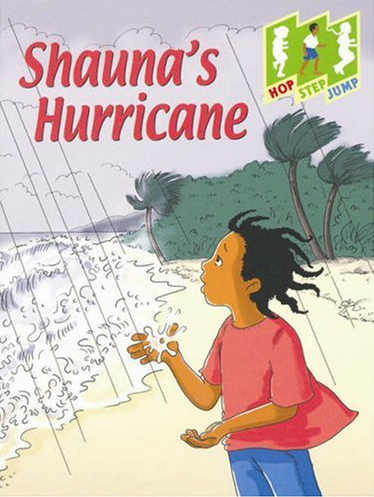 There aren't enough "own voices" Caribbean children's books about hurricanes and other disasters; below, the orange "Own" sticker is used to indicate the book is an #ownvoices one written by a Caribbean author. Also, it's really time for some more creativity when it comes to the titles of these "hurricane books", if you see what I mean. 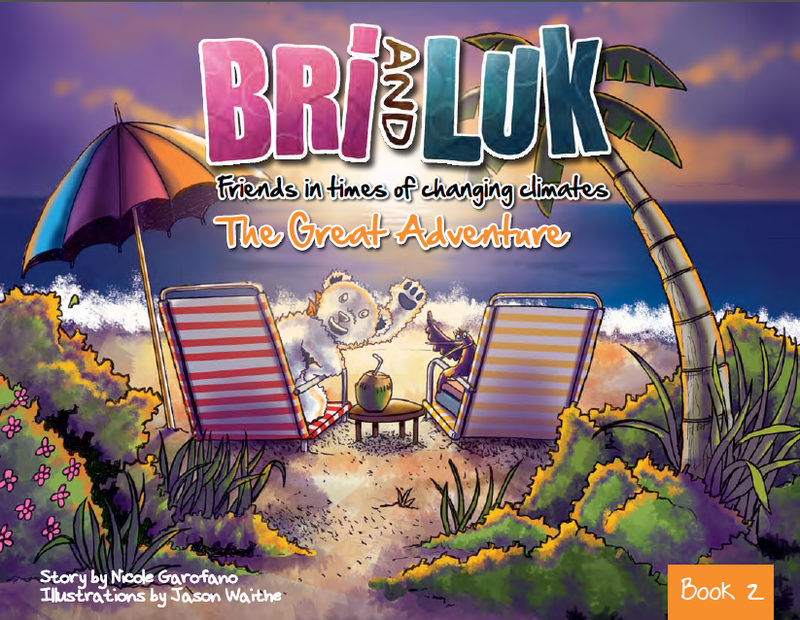 Bri and Luk – The Great Adventure: An Animated Tale: A fun animated story created by The Future Centre Trust (Barbados) to compliment the Bri and Luk Climate Change Learning Series which consists of one factual book (Book 1) a storybook (Book 2 ) and a puppet show, all of which focus on educating children on the basics of climate change adaptation with the help of nine character friends. The Jamaica ODPEM Website for Kids: The Office of Disaster Preparedness and Emergency Management in Jamaica has created a website for children ages 6-12 to help them learn how to prepare for hurricanes and other adverse events. The website's resources include a download center, videos, a list of safety tips and more. ¿Cuál es el pasatiempo del Sr. Sapo? (What is Mr. Toad's hobby? ): In the Spanish-language video produced by the USDA's (United States Department of Agriculture) Centro Climático del Caribe (Caribbean Climate Center), based in Puerto Rico, we see how Señor Sapo (Mr. Toad) learns how to prepare the soil and manages to harvest fruits and vegetables after his orchard is affected by a drought followed by a heavy flood. The video is available on the Youtube channel of Atención Atención, a Puerto Rican children's music program. Also available is El Huerto del Señor Sapo (Mr. Toad's Orchard), a coloring book based on the video that the Center uses as an educational medium at agricultural and environmental fairs around the island. 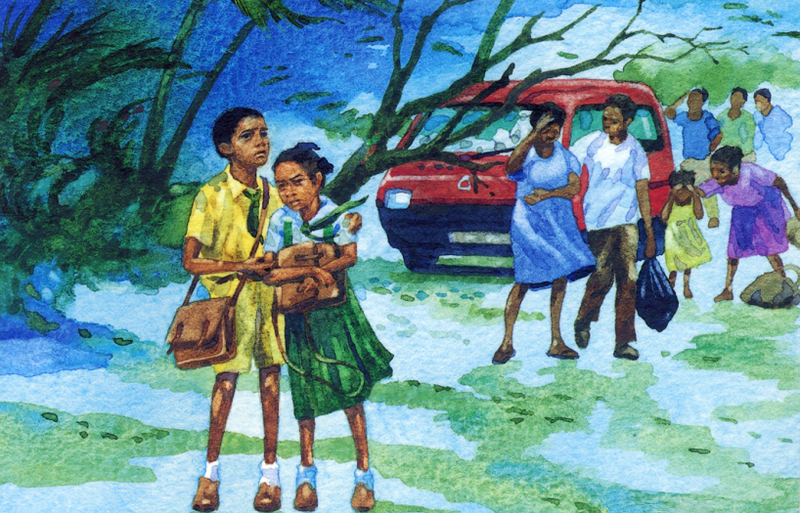 Disaster Awareness for Schools: A Resource Guide for Caribbean Teachers: This downloadable guide created by the The Caribbean Disaster Emergency Management Agency (CDEMA) provides a select list of books, articles, pamphlets, brochures, posters, and other items on hazards, risks, and disasters that are held in disaster management agencies in the Caribbean. Greenz Climate Champion Toolkit for Children: This interactive climate change toolkit was created by Integrated Climate Change Adaptation Strategies (ICCAS) in collaboration with the government of Grenada for primary schools in Grenada, Carriacou and Petite Martinique. This Grenada-specific toolkit includes worksheets, a teacher's manual, stickers, posters and more. When the earth shook, his whole neighborhood disappeared. 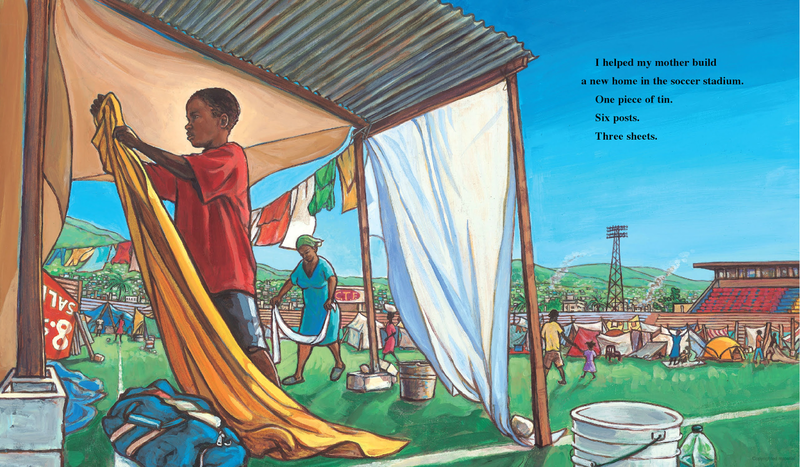 Now a boy and his mother are living in the soccer stadium, in a shelter made of tin and bed sheets, with long lines for food and water. But even with so much sorrow all around, he finds a child playing with a soccer ball made of rags. Soon many children are caught up in the magic of the game. Then the kids are given a truly wonderful gift. A soccer ball might seem simple, but really it's a powerful link between a heartbroken country's past and its hopes for the future. A testament to the strength of the Haitian people and the spirit of childhood. From National Book Award nominee Edwidge Danticat comes a timely, brilliantly crafted story of hope and imagination--a powerful tribute to Haiti and children around the world. Hope comes alive in this heartfelt and deeply resonating story. While Junior is trapped for 8 days beneath his collapsed house after an earthquake, he uses his imagination for comfort. 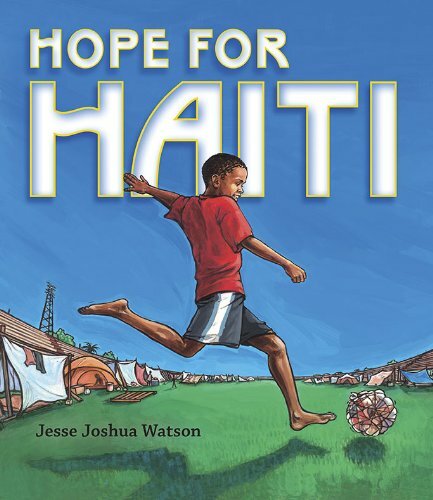 Drawing on beautiful, everyday-life memories, Junior paints a sparkling picture of Haiti for each of those days--flying kites with his best friend or racing his sister around St. Marc's Square--helping him through the tragedy until he is finally rescued. Love and hope dance across each page--granting us a way to talk about resilience as a family, a classroom, or a friend. Illustrated by Alix Delinois. 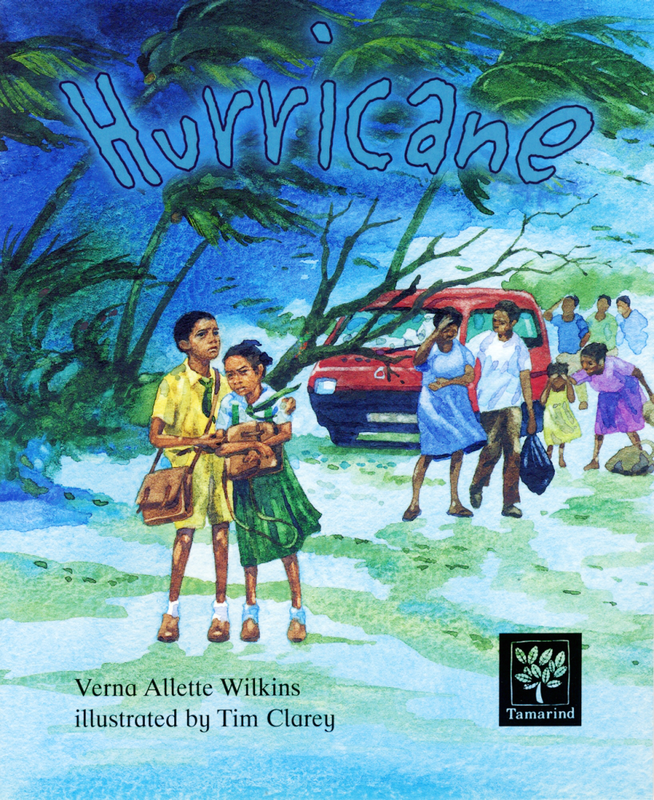 Troy and Nita are sent home early from school because of a hurricane warning, but instead of going straight home, they stop to visit a friend. They get caught up in the storm and don't get back until well after dark. Illustrated by Tim Clarey. Sergio lives in San Juan, Puerto Rico. San Juan is usually sunny and peaceful, but one day the sky grows dark and the ocean gets choppy. A hurricane is coming, and Sergio and his family must prepare for the storm. Sergio is excited at first, but he soon realizes that hurricanes can be dangerous. 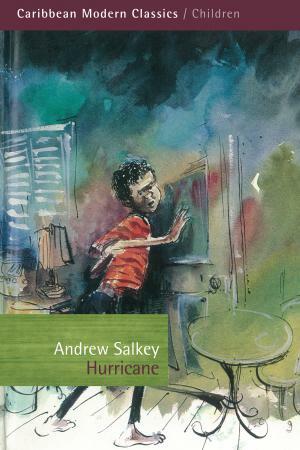 Through the experiences of one little boy, readers will learn about hurricanes and the damage they can do. And they'll also see how a community can pull together to repair that damage. 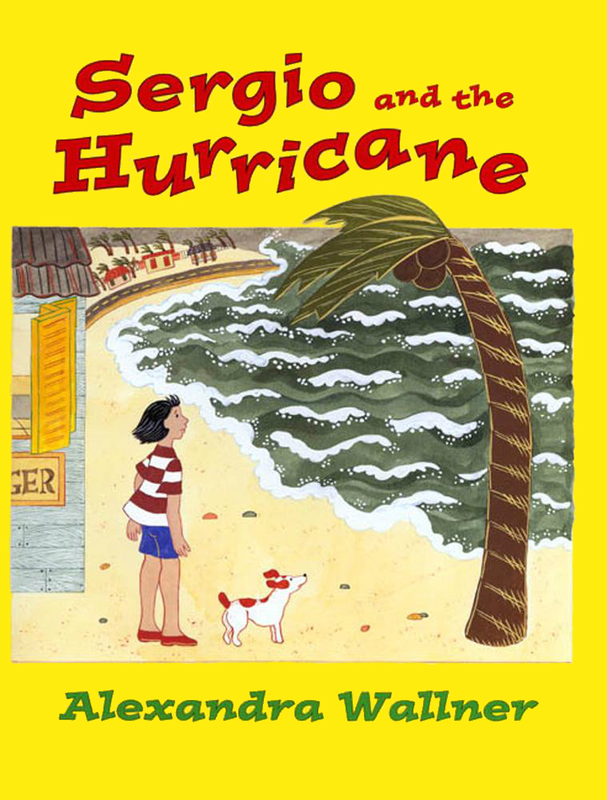 With her signature folk-art style and lively text, Alexandra Wallner captures the bright colors and sounds of Puerto Rico and shows young readers what it is really like to live through a hurricane. One moment the sun is shining on the slopes of El Yunque, the largest mountain in eastern Puerto Rico, the next, everything has changed. The sky has turned deep purple, and you feel as if the air has been sucked from your lungs. That can mean only one thing: A hurricane is coming! Illustrated by Henri Sorensen. One day, at her school on a little island in the Caribbean Sea, a message comes to Shauna's teacher. She stops the class and says, "A hurricane is coming! Hurry home. There’ll be lots to do." This book belongs to the Hop, Step, Jump series aimed at children around 6 to 11 years old. Hop, Step, Jump is not a reading scheme, but a set of absorbing, child-centred stories, rhymes, riddles, songs and fact books, collected from diverse sources and illustrated in a variety of styles. The books are arranged at three language levels: Hop, Step and Jump. This book is in the Step level. 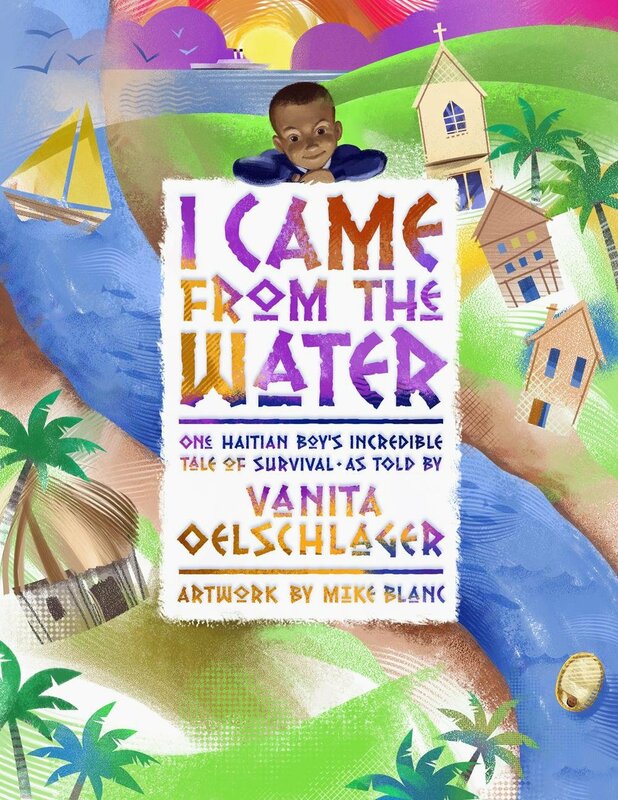 A lively illustrated masterpiece, this is the gripping story of a natural disaster and the 13-year-old Kingston boy who lives to tell the tale. While holed up in their home, Joe Brown, his sister Mary, and their parents wait for the eye of the hurricane to pass over their home. Outside, a terrifying wind turns trees to splinters, darkness swallows the land, and torrential rains lash the roof. Celebrating Jamaica’s resilience in the face of natural disasters, this account follows the family as they huddle, worry, wait, and hope—together. 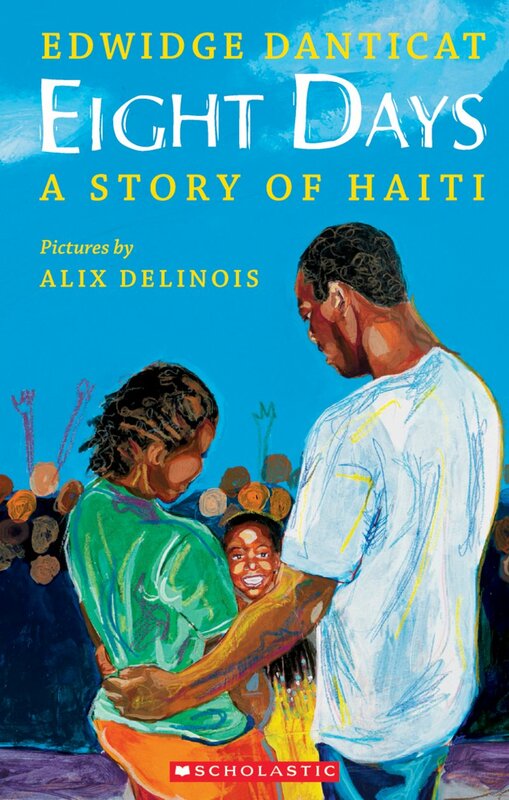 The story is based on the real-life experiences of Moses, an eight year-old boy and resident of St. Helene's orphanage outside Port-au-Prince. As an infant, he was rescued after being swept away in a flood. Homeless and orphaned, he begins life anew in a children's village. Then the 2010 earthquake strikes followed by a devastating hurricane. Moses helps the children in his orphanage adapt to their new lives and helps a priest and the nuns save other victims. Illustrated by Mike Blanc. 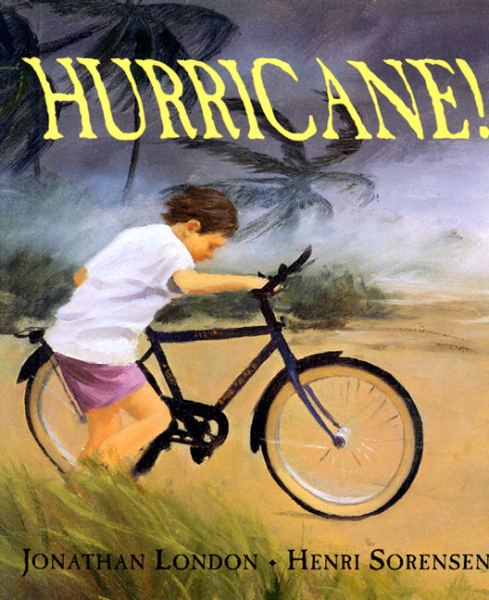 On the Caribbean island of St. John, a family experiences the drama, danger, and destruction of a hurricane. When the warning flag goes up, Albie and Eldra rush to help their grandfather secure the house, boat and animals while their father, a policeman, goes off to pass the word. When their house is destroyed, they must find a way to survive. Illustrated by Ann Grifalconi. The Future Centre Trust's (Barbados) Bri and Luk Climate Change Learning Series was designed to help students and their teachers understand the effects of global climate change on Barbados and the region. Here the story of Luk the polar bear unfolds. Luk comes to the Caribbean with his friend Bri the hummingbird to learn from the local animals and children how climate change is beginning to affect them. 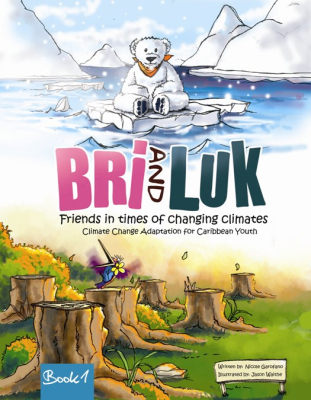 Includes Bri and Luk: Friends In Times of Changing Climates: Climate Change Adaptation for Caribbean Youth (Book 1) and Bri and Luk: The Great Adventure (Book 2). 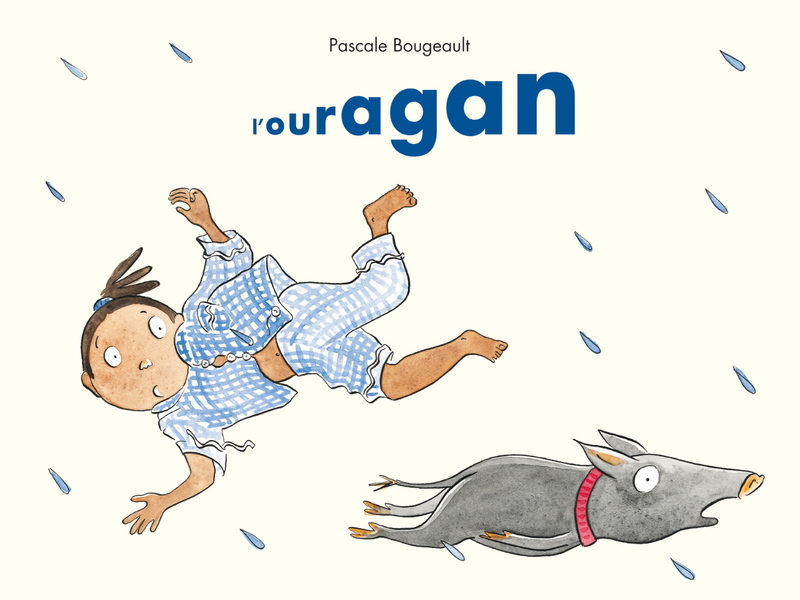 This French-language book, set in the French Antilles, follows a little girl named Lucette and her family as they prepare for the arrival of a hurricane. Un ouragan terrible s’approche de notre île. Il s’appelle Octave. Toute la famille se rassemble et se calfeutre. Pépé amène son cochon, Mamija apporte sa soupière chérie, Papa range les cactus, Maman cloue les volets, Lucette prépare des bougies et des bassines d’eau. Tout est prêt. Vas-y,Octave, tu peux souffler! Mais où est passée la chienne, Cacahouète? Lucette est très inquiète, d’autant plus qu’elle n’a pas le droit d’aller la chercher… Tant pis! Allons-y! Attention, danger! 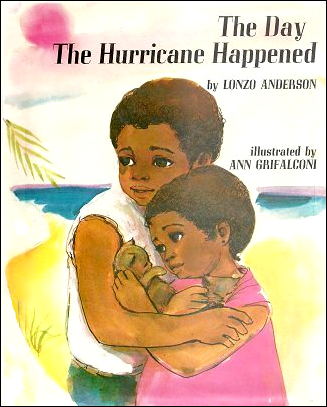 Bonus: For a look at how pets and animals deal with environmental disasters, read Mauby and the Hurricane by Barbadian children's author Peter Laurie, illustrated by H. Ann Dodson.